It will be in three parts, “Part 1”, “Sake Seminar” and “Part 2”. Part 1 is for Liquor store / restaurant, General customers can not enter. Part 2 is for General Customers. 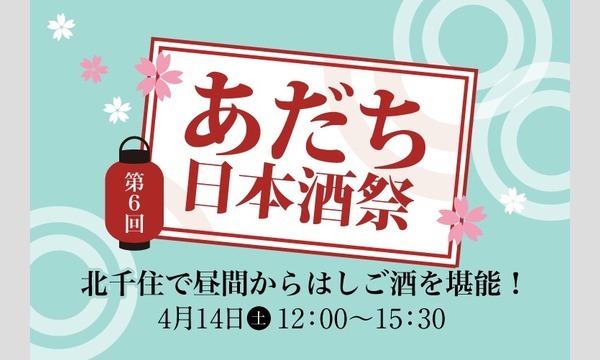 On April 14 (Sat), at the Ginza Phoenix Plaza, you can taste sake, shochu and local beer from Tokyo, Kanagawa, Chiba and Yamanashi breweries. Four people of Miss SAKE are scheduled to come this time, they will warm up the event. Enjoy your tasting! 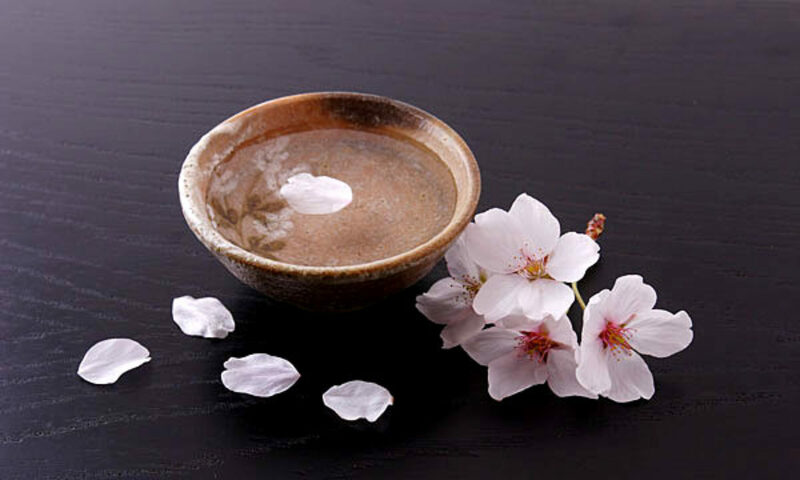 You will receive a Mini Ochoko (sake cup) and Sake 300ml. 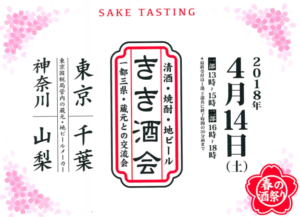 100 kinds of sake including “Spring limited edition sake” are all you can drink! 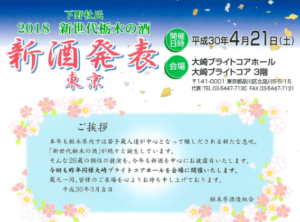 This event is Adachi-ku’s largest sake crawling event! In the event you can meet more than 100 kinds of alchole drink (Sake, Umeshu, Fruit liquor) that are difficult to find in Tokyo and from various parts of Japan. Among 100 kinds of alchole drink, you will find a variety of alchole drink such as spring limited sake that you can enjoy only now and original beer cocktail “fruit beer” which is colorful and easy to drink, so you will surely find your favorite one. In addition, at this event, you can taste food that is perfect for alcoholic drinks from restaurants in Kitasenju. You can drink your favorite sake and marriage of each restaurants’ taste. The reception starts at 12 o’clock. Please receive handouts (tasting cup · participation card · map · leaflet etc) at the reception desk. Then eat and drink at Kitasenju’s participating restaurant freely. Food is cash on delivery, from 300 yen to 500yen.